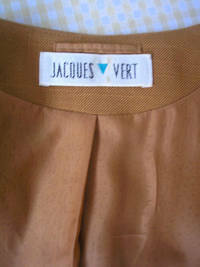 Fabulous vintage Jacques Vert jacket from my own wardrobe. 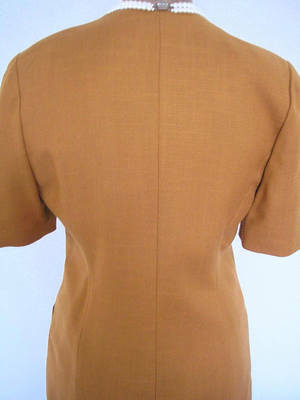 This jacket is a golden ochre/ mustard colour. It is a US size 6 (UK size 10, Aus size 10, Euro size 38.) 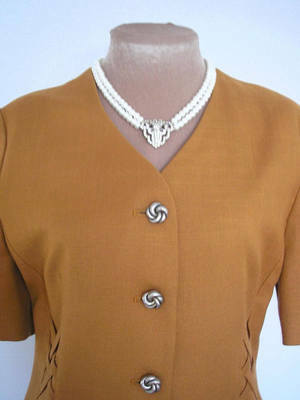 The jacket is single breasted, with ornate pale gold acrylic buttons to secure. It has small front pockets, short sleeves and attractive crisscross detailing on the front. 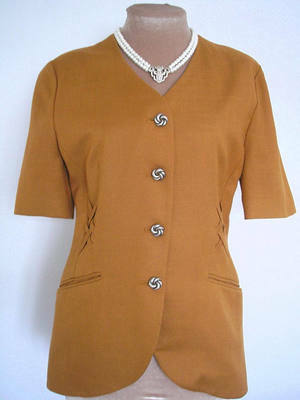 It also has thin shoulder pads. The jacket was made in the UK from 50% polyester and 50% viscose. The lining is 100% polyester. 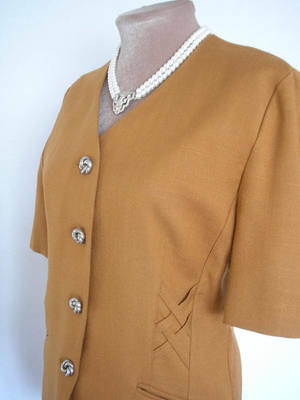 This vintage piece is in very good condition. There are no marks or stains, either inside or out, although it would probably benefit from dry cleaning. This is a DRY CLEAN ONLY garment.